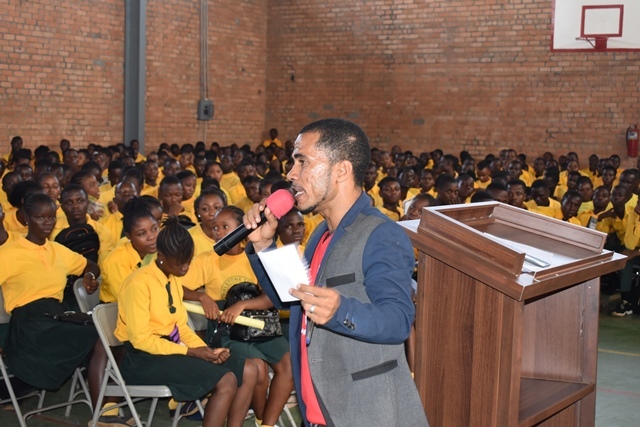 (Monrovia, November 6, 2018): The Liberia Revenue Authority (LRA) on Friday November 2, 2018 held a tax awareness event for students of the Firestone Senior High School in Harbel, Margibi County. The initiative held in collaboration with the Firestone School System, was intended to educate the students about the importance of tax payment and its benefits. About 2,000 students participated in the engagement. Speaking during the tax awareness, LRA Senior Officer for Information, Education & Inquiry Gabi Azzam encouraged the students to take keen interest in learning about the procedures and processes of tax payment as they grow up to become taxpayers in the future. He informed them that tax payment is a civic obligation of all citizens including residents who are income earners, property or business owners. “Once you have properties like land, house or farm, own a business or you are working and earning an income more than 70-thousand Liberian Dollars yearly, you must pay your taxes to government,” Mr. Azzam asserted. Mr. Azzam explained to the students that taxes collected by government are used to build new roads, enhance service delivery, support the health and educational sectors, provide national security and pay government workers, among other services. 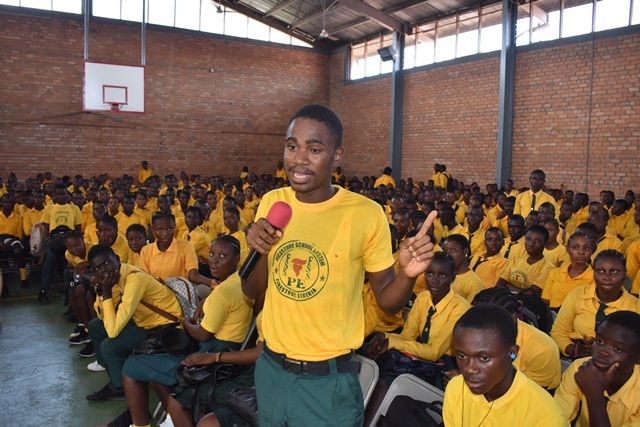 He lectured the students on the steps involved in obtaining a tax identification number (a unique taxpayer’s ID) as well as tax kinds and their payment dates. Mr. Azzam thanked the Firestone School System for inviting the LRA to educate its students about tax payment and assured the commitment of the Authority of continuing similar engagement with the students, once called. In remarks, the principal of the Firestone Senior High School D. Mulbah Gayflor thanked the LRA for the tax awareness event and praised the Authority for extending its activities to the school. He indicated that tax education for students helps to increase their understanding about taxation and its related benefits. “Tax education is very important especially for the young people, because if we have a taxpaying citizenry, we have the potential of becoming a develop country. If our students here will all grow up to become taxpayers, I think we have the potential of becoming a better nation,” Mr. Mulbah said. Also speaking, the President of the Firestone Senior High School Student Council Government Kollie Flomo, lauded the LRA for extending tax education to the school. “We are grateful for this opportunity provided us by the LRA, and we can assure you that we will pay our taxes when we become independent in the future,” he noted. Student Flomo highlighted the involvement of everyone in tax payment as keen to Liberia’s development. “Tax payment is important because when we all pay our taxes, the government will use it to development our country,” Student Flomo pointed out. At the same time, the Liberia Revenue Authority has presented assorted tax educational brochures containing information about tax categories and payment processes to the Firestone Senior High School. Receiving the materials, the Coordinator of Extra Curriculum of the Firestone School System Marbue Richards thanked the LRA for the materials. He said the tax educational materials will be placed in the school’s library to enable the students read further about taxation to boost their understating about tax payment. In November 2017, the LRA with support from the Open Society Initiative for West Africa (OSIWA), along with the Ministry of Education (MoE) launched the School Tax Education Program (STEP) for students in Liberia. The STEP project aims at creating a sense of civic duty in the minds of Liberian students in junior and senior high schools including college and university. It seeks to develop the culture of compliance based on rights and civic responsibilities with the aim to promote a positive view of tax collection in ensuring an increase in tax literacy in Liberian schools.